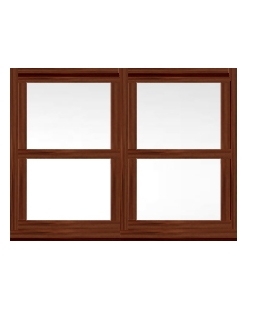 If you would like your new Sash Window to match the colour of your uPVC Rosewood front door, then you need our uPVC Sash Windows in Rosewood. Unlike traditional timber windows our Rosewood Sash Windows are partially maintenance free and will look like new for years to come. 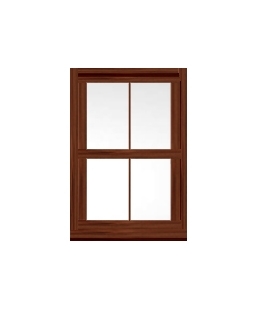 With all of our our uPVC Sash Windows you will no longer have to step outside your home to clean your external window frame. Thanks to an inward opening tilt facility you can now safely clean the outside of your window from the comfort of your own home. This function is particular useful for those windows that are in hard to reach places or are on a second storey. The maximum height of our sliding Sash Windows is 3000mm, with a maximum width of 1600mm. 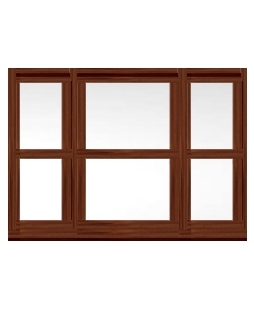 The minimal height and width of these stylish windows is 740mm x 340mm. As with all our doors, our double glazed Sash Windows prices are shown for each product.